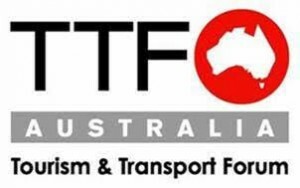 The Tourism & Transport Forum Australia (TTF) has told the Senate inquiry into the Federal Government’s backpacker tax that there is no economic justification for the Government to increase its holiday tax – the Passenger Movement Charge – to $60 from 1 July 2017. TTF CEO Margy Osmond appeared before the Senate inquiry on Wednesday afternoon and tabled an analysis by KPMG that confirms the Federal Government will raise the $540 million target it has arbitrarily set itself through the proposed changes to how backpackers are treated for tax purposes without the need to increase the holiday tax as well. “The tourism industry does not accept that the holiday tax hike must be considered lock-step with the backpacker tax package. They are two separate issues and as the KMPG analysis, that TTF has had commissioned, shows it is completely unnecessary for the Government to reach its desired revenue raising goal of $540 million over the forward estimates,” said Margy Osmond, TTF CEO. “The Government wants this tax package to “wash its face”, and that’s fine, but it doesn’t have to take the travelling public to the cleaners.“TTF’s position is that the reform package for working holiday makers should be supported by the Parliament to allow industry to secure its workforce and work to rebuild the working holiday market through the $10 million funding allocation to Tourism Australia to run a promotional campaign. “The holiday tax, or as the Government calls it the Passenger Movement Charge, on the other hand, will impact on 9.7 million Australians and 8 million international visitors departing the country and needs to be seriously scrutinized by policymakers on what its full impact will be before it becomes law. “The Government should never have included an increase to the Passenger Movement Charge in the reform package it announced last month, and TTF will make the strongest case why hiking the holiday tax should be abandoned. “The Passenger Movement Charge is a $1 billion tax on travel. It was introduced as a cost-recovery charge for passenger facilitation services (customs, border security) at our international gateways. The cost of providing those services is estimated to be around $250 million, meaning that the Federal Government is profiting to the tune of $750 million a year. That alone should be reason enough for the cash grab to be knocked back by the Senate. “But, in a broader sense, we are talking about an industry that is incredibly sensitive to price. Tourism is a global industry and Australia is competing with destinations, many of which are much shorter distance than Australia, that are aggressively cutting the cost of travel.